Happy National DNA Day, everyone! What’s National DNA Day, you’re wondering? It’s a sort-of-holiday that commemorates the completion of the Human Genome Project in 2003, as well as the initial discovery of DNA’s double helix all the way back in 1953. 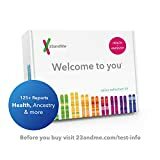 Whether or not you’re up for celebrating the true meaning of National DNA Day, you’ll definitely be up for saving some serious cash on dozens of DNA test kits on Amazon. 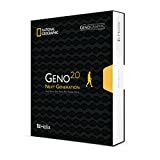 We’ve selected our five favorite DNA Day deals below, or you can shop the full Amazon sale right here. Learn about your skin and beauty genetic traits. 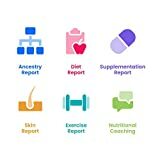 FREE nutritional coaching included in your offer that helps you better your report and achieve a healthier outcome. Uncover your ethnic mix across 350 regions worldwide, two times more than then next leading competitor. 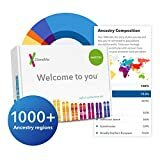 Ancestry has the world’s largest consumer DNA network— almost 10 million people and counting.